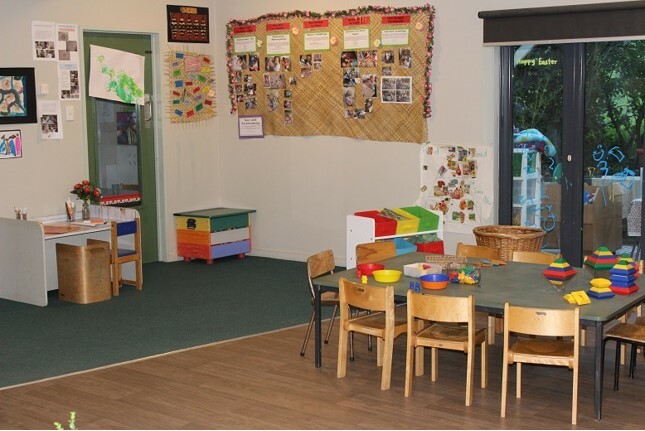 The Rainbow Early Learning Centre was established in May 2001 to meet the needs of the local community. The Rainbow provides quality education and care programmes and facilities for children from age 6 months until they start school. The inside layout of the Rainbow provides maximum space and excellent visibility which helps to ensure child safety. The spacious outside play areas are designed to give your child a wide range of play experiences in a safe and natural environment. The Rainbow emphasises Christian values to provide a warm, caring, supportive environment for families/whānau. Each child will receive individual attention and experiences, while at the same time have opportunities to be involved socially within group activities. A developmentally appropriate programme catering for the needs of your child is provided in a fun loving atmosphere. The Rainbow’s curriculum is based on the Ministry of Education’s Te Whāriki strands and goals, and is taught from a Christian perspective in line with our “Special Character”. We have begun developing an adjacent paddock in a farmlet - we already have chickens and are looking at introducing sheep, pigs and maybe a goat by the end of 2018. We are also keen to further develop sustainable practices - placing our composting, worm farms and vegetable gardens in this area. 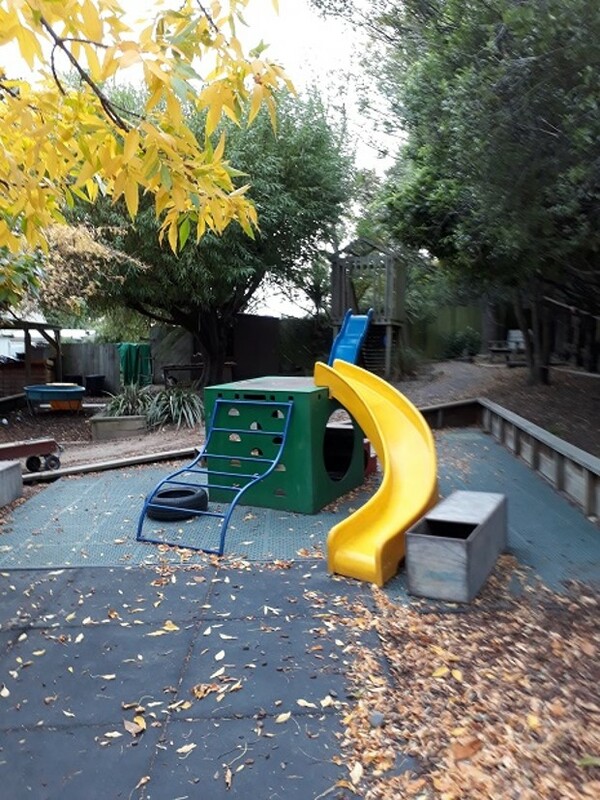 We are fully licensed by the Ministry of Education and we have met their rigorous standards of safety, hygiene, equipment, and quality staff/child ratios. 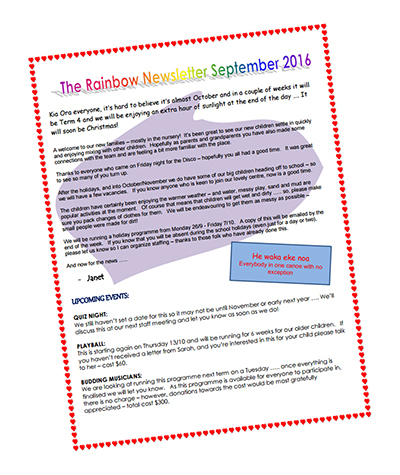 The Rainbow is administered by the Person to Person Help Trust, a Charitable Trust set up by Kaiapoi Baptist Church. Teachers promote positive relationships. Ratios of children to adults are low and group sizes are small so that children can have frequent and close interactions with adults who know them well. 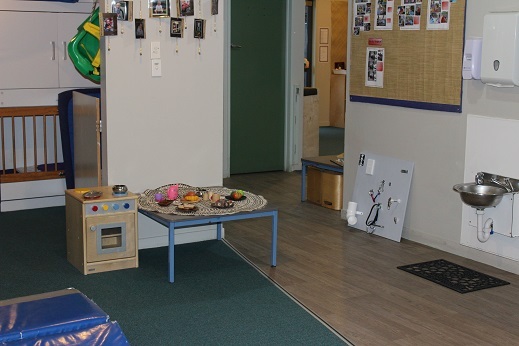 Children in the nursery benefit from close, nurturing, unhurried interactions. Teachers make sure children's choices are respected and understand their needs and preferences. Teachers in the preschool respond effectively to children in the programme. They allow children time to explore and ensure play is uninterrupted. They help children extend their thinking and talk about their ideas and choices. Teachers support children’s social competence and help them to learn to play successfully with others. Children participate in a wide range of activities and experiences both within the centre and on excursions. 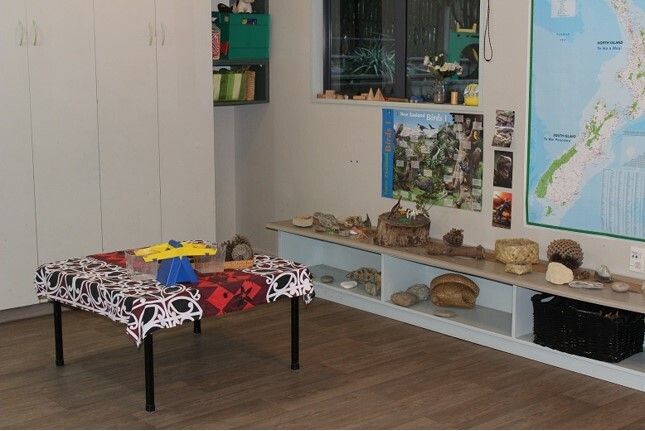 The spacious natural outdoor environment encourages children to explore, discover and take learning risks. 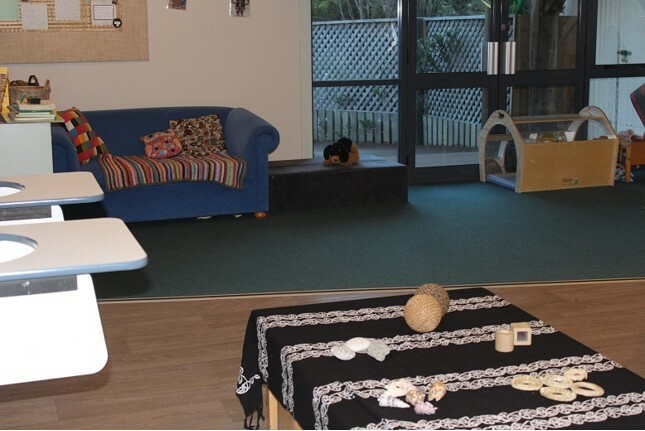 Children experience flexible and supportive transitions between the nursery and preschool areas. Teachers are strengthening professional links with local schools and improving practices that support children’s transition to school. Teachers are increasing the ways they find out about parents' aspirations for their children’s learning. Teachers are focused on and have a growing awareness through professional learning of how they can better support Māori learners and increase bicultural learning experiences for all children. The head teacher is playing a key role in helping teachers to make better use of ongoing professional development opportunities to reflect on their practice and collaborate more between the centres. The building of a stronger reflective culture among teachers is supporting improved centre self-review practices. The most recent collaborative self review is well focused on improving teaching and learning outcomes for children and resources to families. Now with 24 free ECE hours for 4 year olds, and 30 for 5 year olds!! !